The CANOPY range incorporates a projecting roof and side walls which are clad in powder coated aluminium, in a colour of your choice. The projecting fascia provides additional solar protection and shelter to the garden room. The ‘Canopy Inspired range’ comes as standard with cedar cladding and superior quality powder coated aluminium double glazed doors & windows. This compact and contemporary range starts with a room measuring 2.5m x 2.5m ideal for a small home office or garden retreat. The CUBE range takes on a very simplistic cube form with clean lines. The ‘Cube Inspired range’ comes as standard with cedar cladding and superior quality powder coated aluminium double glazed doors & windows. 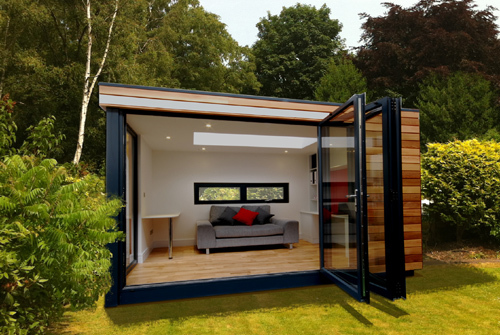 This range starts with a compact and contemporary room measuring 2.5m x 2.5m ideal for a small home office or garden retreat. 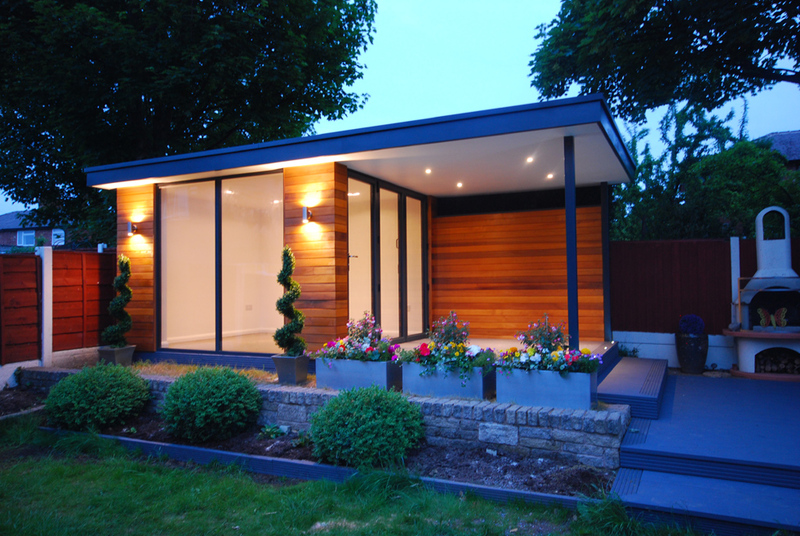 All our garden rooms are designed for each individual client so we can tailor sizes to suit your needs. See our website for details and standard sizes. 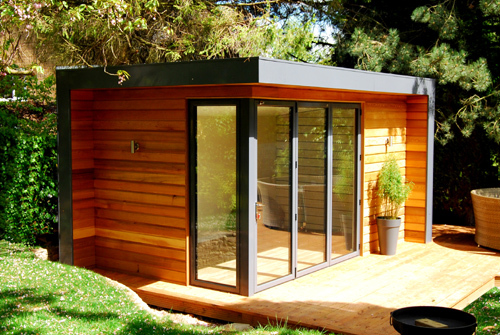 The Pitched range is designed to maximise the volume within the garden room. If the garden room is more than 2m from any boundary, under permitted development (P’D’) you are allowed to build up to 4m high to the ridge for a ‘double’ pitched roof without needing planning permission. This range comes with a choice of tiled, slate or metal roofs. We offer a choice of exterior timber cladding for all of our ranges but as standard we install cedar cladding and powder coated aluminium double glazed windows & doors. 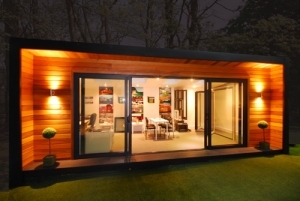 This range starts at 5m x 2.5m which is ideal for an office for 2 or garden retreat. The TERRACE range is designed to create both garden room and sheltered external space all as one structure. The sheltered area could also be located close to your home to provide a more direct sheltered link to the garden room ideal for sheltered al fresco dining. The sheltered space has many potential uses including dining, outside kitchen / BBQ area, space for a hot tub, covered external lounge, ……..the possibilities are endless. 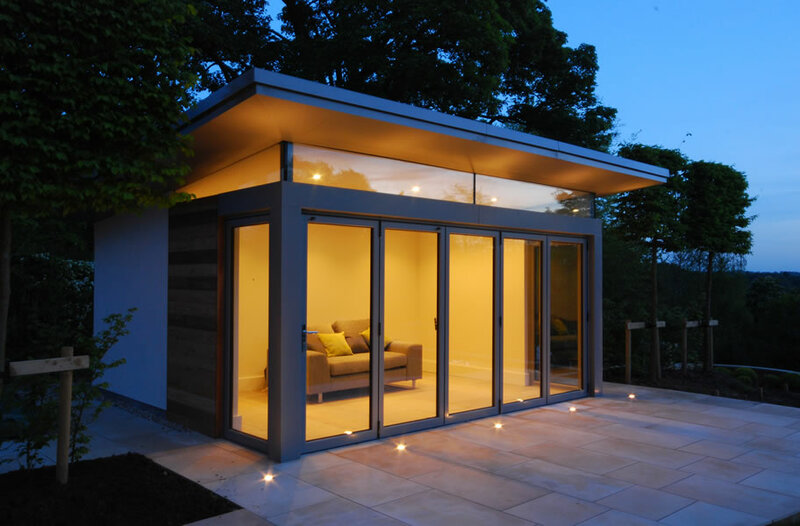 All our garden rooms are designed to highest possible standard with clean lines and using latest technology including frameless glazing as an option. The MAXI range is designed to create large open plan flexible multi use space suitable for many uses including exercise room, large home office, granny annexe, teenagers pad, nursery, holiday home, classroom, art studio, snooker room, games room, guest suite, dance studio,…….and much much more. 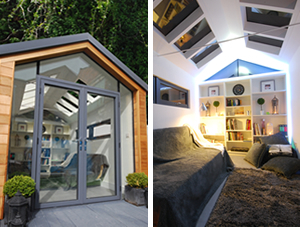 So let us tailor a room to suit your needs & create your Inspired Garden Room. The BESPOKE approach. With over 25 years experience in the architectural and construction industry, this allows us to create an exquisite and unique garden room tailored to suit your needs. Our Managing Director and his Fully chartered architectural practice, M T Architectural Consultants will personally develop your brief and create an elegant and lovingly crafted design which will add value to both your family life and your property.